Hi, I am trying to find out more information about the Royal Victualling Yard and their cricket team . 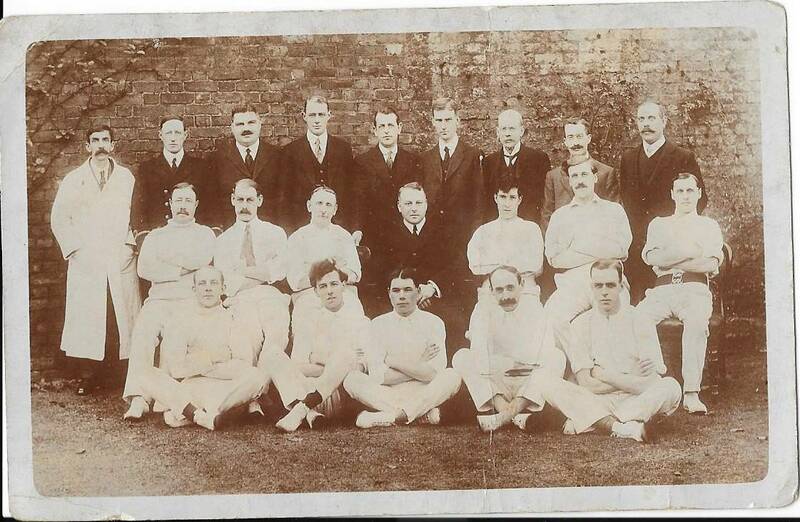 Enclosed is picture of a team which has my grandfather, Arthur Stevenson, pictured seated far right middle row. The date I am not sure of , it could be just before or after WW1. Any information,great or small, would be gratefully received as my personal research has drawn a blank. My grandfather, I know, worked there after he returned from the war. Also, does any one know what local newspaper that may have reported on matches. As I am aware, from my mother, that there was a report on my grandfather bowling a hatrick.